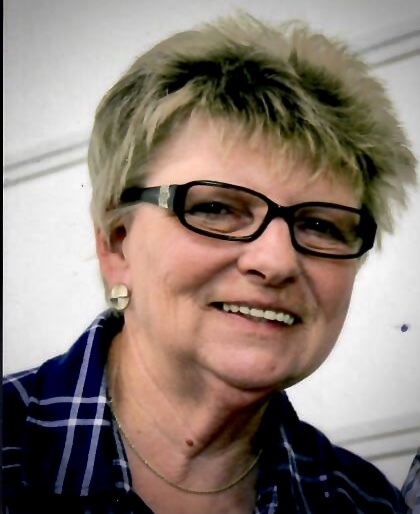 Cynthia “Cindy” Bixler, 69 of Chillicothe died early Saturday morning, May 12, 2018 at her home with her family by her side following a brave battle with cancer. She was born June 18, 1948 in Vinton County to Dorthea (Smith) and William A. Ray. She spent most of her childhood raised by her mother, Dorthea and her late step-father, Bernard Huffman. Cindy was a 1966 graduate of Waverly High School. On Sept. 27, 1969 she married Robert Lee Bixler who survives. Also surviving is her mother, her children, Christie Bixler and Bobby Bixler, both of Chillicothe as well as her daughter-in-law, Jodi Maxwell Bixler. Cindy loved her grandchildren; Ashley (Christopher)Mead, Kelsey Bixler and Adam (Holly) Bixler. She also adored her great-grandchildren, Carly and Aubree Mead and Ava Bixler. Cindy’s only surviving sibling is Linda Recobs, of Chillicothe. Her deceased siblings include: Tim Ray, Steve Ray and wife, Ruby and Crystal Parsons. Also surviving are nieces and nephews, Vicki (Eric) Wissler, Diana Francis, Tom (Kara) Parsons, Jr., Steven Ray, II and Amanda (Ronnie) Bolen; aunt, Lavonne "Bonnie" Rhoads; uncles, Randall Smith, Jr., Herbert A. (Janice) Smith, Douglas (Phyllis) Ray and Earl Ray and special friends, Sandy Johnson, Leesa Fogel, Bobby Huff, Nancy King, Joyce Neff, Becky Hammond and Rona Kellough. Cindy’s sense of humor and zest for life prevailed throughout her years. Her passions included bowling, golf, traveling with her husband Bob and spending time with her grandchildren. She was an employee of GE in Circleville for many years and was a proud life-time member of the VFW Post 108 Ladies Auxiliary where she served as a Trustee. Funeral services will be held at 10:30 am on Thursday, May 17, 2018 in the FAWCETT OLIVER GLASS AND PALMER FUNERAL HOME with Rev. Jeffery Rhoads officiating. Burial will follow in Londonderry Cemetery. Following the committal service, a reception in memory of Cindy will be held at VFW Post 108, 115 E. Main St., Chillicothe, OH. The family will receive friends at the funeral home from 5:00 to 7:00 pm on Wednesday.